The Russian company cites “economic unfeasibility” of the joint venture’s projects, while a senior analyst believes RusHydro lost credibility as a potential partner in the eyes of its Indian counterparts. 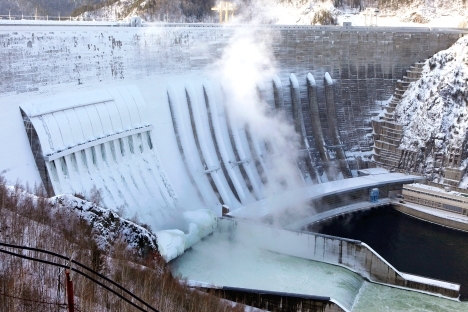 Russia and India have failed to establish cooperation on building hydro power plants. Russian company RusHydro, a global leader in hydro power plant construction and operation, said at the end of August that it was withdrawing from the joint venture with Sun Group. The company explained that South and South-East Asia were attractive regions in terms of colossal underutilised hydropower potential. According to Russian estimates, India alone, without Laos, Nepal, and Vietnam, needs 50 GW of hydropower capacity. Even so, in the company’s opinion, the investment climate in the region’s countries with regard to the building of new generation capacity is not attractive enough and does not offer investors an acceptable level of risk. “Shareholders are concerned about getting their investment back, particularly because of the uncertainty surrounding the political context of future projects,” Investcafe analyst Ekaterina Shishko said. She recalled that India had won arbitration proceedings over Pakistan over the construction of the Kishanganga hydroelectric power plant in February this year, yet failed to invite the Russian-Indian JV to take part in its construction, even though there had been preliminarily discussions back in 2012. FCG partner Artyom Sitnikov posited that the true reason might be not the projects’ loss of investment appeal but rather RusHydro’s loss of credibility as a potential partner in the eyes of its Indian counterparts. According to him, the company’s stock has declined since the beginning of 2011 from 1.67 roubles to 0.56 roubles on the MICEX. “The reasons for this have included not only a deterioration in financial performance but also most power plants coming to an end of their service lives, leading to accidents, as well as scandals. Plus, RusHydro has no experience to speak of in working with international partners,” he added. This is not the first instance of the Russian company “walking out” on India. In 2009, RusHydro abandoned scheduled construction of a hydro power plant in Laos and India and said it would only be providing engineering services to India rather than invest in construction. The company backpedalled in 2010 to include India again within its target markets. “We must enter India and work with Indian colleagues. We are planning to partner up with different companies to take part in power plant construction tenders – whether existing, under construction, or even greenfield projects”, CEO Evgeny Dod told the Russian daily Kommersant at the time. RusHydro is fairly active in international projects. According to Ekaterina Shishko, the company is starting to work with Japan, particularly in the area of renewable energy source-based generation (production of liquefied hydrogen). In May this year, RusHydro signed a service contract with Nigeria’s Mainstream Energy Solutions to provide operating services for two Nigerian hydro power plants for a five-year term. This year, RusHydro holds the presidency of a partnership of 14 major G8 energy companies. RusHydro’s subsidiaries are actively exporting electricity to neighbouring regions of China.